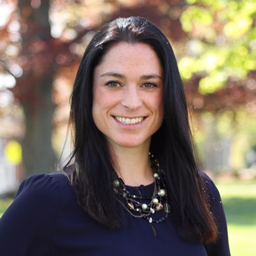 Kerry is a Digital Learning Specialist at St John's Prep, Director of K-12 Education at ConnectSafely, and a EdSurge Columnist. Find her on Twitter at @KerryHawk02. 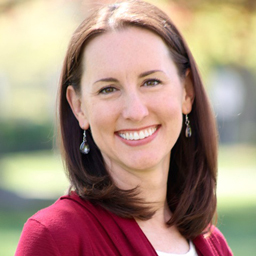 Julie is a former classroom teacher, curriculum writer, and current Digital Learning Specialist at St John's Prep. Find her on Twitter at @JulieCremin. St. John’s Prep is committed not just to offering a rigorous and extensive curriculum, but also to providing students with the tools they need to excel in today’s world. St. John’s Prep, an all-boys Catholic school in Danvers, Massachusetts, has a long history of preparing students for higher education. Nearly every graduate at the school (99 percent) goes on to a four-year college, and the school offers 22 different AP courses. St. John’s Prep is committed to offering a rigorous and extensive curriculum — and to providing students with the tools they need to excel in today’s world. For students at St. John’s Prep, these tools look very different from the resources other graduates used just a few years ago. While students still use familiar resources (e.g., textbooks) for learning, technology is now an integral part of how students work, research, and collaborate schoolwide. Integrating technology into daily instruction began more than four years ago when the school decided to implement 1:1 iPads for high school students. Today St. John’s Prep has expanded and supports technology for 1,150 high school students and 300 middle school students. The school knew that selecting the right tools for the iPads was critical. Teachers and students needed to be able to collaborate seamlessly, and users needed a system that was easy to use. One of the school’s World Language teachers, Elizabeth Solomon, began testing products and found Showbie. Not only was Showbie compatible with the iPads that had already been purchased, but she was thoroughly impressed with its functionality and the attentiveness of its support team. The school decided to try Showbie, and phased in the platform. Today, approximately 70 percent of the teachers at St. John’s Prep use Showbie. The varied functionality, which originally appealed to the school, continues to be a major bonus, and teachers are using Showbie’s features in a variety of creative ways. “Our world language teachers use the voice notes feature to attach audio files to student assignments so students can hear correct pronunciation. Students can also upload voice notes so teachers can hear and give feedback on how they are pronouncing the language,” explains Kerry. St. John’s Prep teachers also use Showbie for file sharing, class discussions, uploading assignments from Notability (an app for note-taking and annotation), providing feedback on class assignments as well as classroom behavior, holding online office hours for students, assignment grading, and many other functions. With four years of experience to draw on, the technology team at St. John’s Prep has learned a great deal about successfully rolling out new technology tools in their school. First, avoid telling teachers which digital tools to use. Instead, ask teachers to look for tools that they think will be helpful, and then encourage them to bring those suggestions to the technology team. Training is also an essential component of encouraging teachers to adopt technology tools in their classroom. At St. John’s Prep, teachers who use Showbie assist with training and demos so new users can see the app in action. The digital learning team at St. John’s Prep also knows that no matter how much training is offered, using Showbie with students brings up questions and ideas for new features. That’s why it’s critical to have a partnership with the company that includes a user-friendly knowledge base and responsive professional support, according to Kerry. The successful implementation of iPads and online tools like Showbie has helped the school move forward with its goal of helping students use technology throughout their education at St. John’s Prep. A story relayed to Kerry from a parent illustrates the degree to which technology has changed learning at St. John’s Prep and how the school’s iPad program combined with Showbie is expanding access to learning for students.